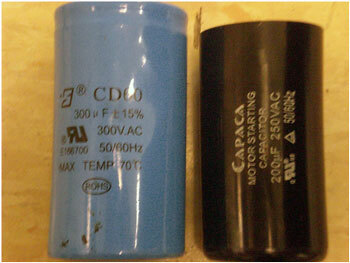 A high starting torque is required by a SINGLE PHASE motor, in this case a high micro fared (ÂµF) capacitor is used. A centrifugal switch generally disconnects this when approximately half the speed is reached. This is to avoid overloads of the auxiliary winding. 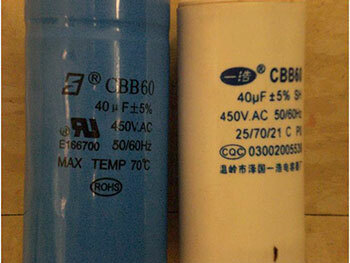 The capacitor remains energised for very short periods therefore it will have lower voltage ratings (V.A.C.) than a running capacitor with the same capacitance. 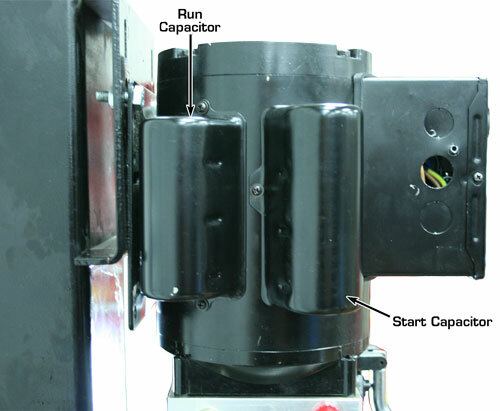 After the initial start of the SINGLE PHASE motor this capacitor is also needed to obtain the full load power of the motor where it then remains in continuous operation with the motor, thus forming an integral part of this circuit.